Anyone with an eye for original images, the right equipment, and film, and excellent technical skills can take good pictures. But to make a living out of taking stunning photographs needs more than photography skills; you must also be a savvy businessperson. 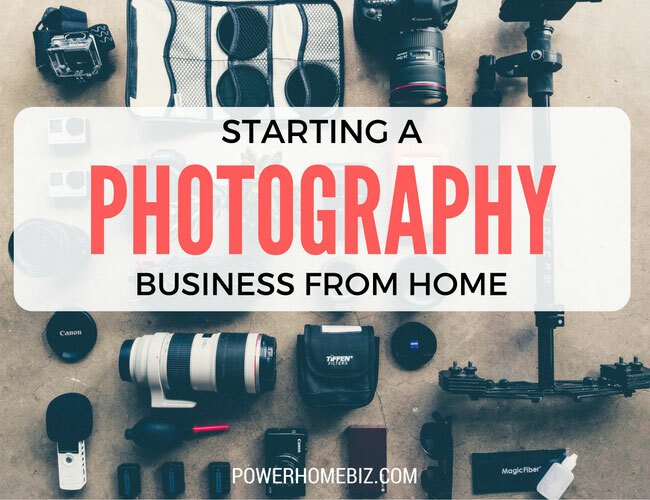 To succeed in the photography business, you need to know about financial, legal, management and marketing aspects of starting and running a photography business. What kind of photography work do you want to do? The field of photography is wide and competitive. There are a wide variety of players out there, from the part-timers freelancing for the local weekly paper to a few superstars who can command fees of $10,000 per day. 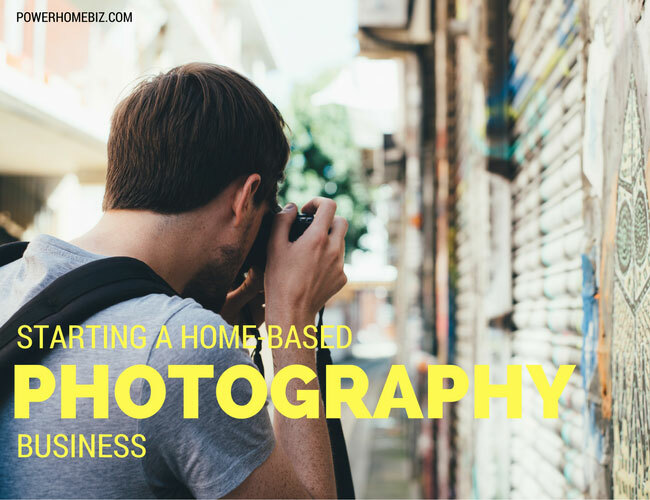 As a home-based photographer, you can work on a broad range of subject area, from wedding photography business, fashion, portraits, underwater, product photography and others. You can be a freelance photojournalist or a publication photographer. While there are various types of photographic activity, professional photography can be broadly divided into two categories: assignment photography and stock photography. Assignment photography is any photography commissioned by a client. 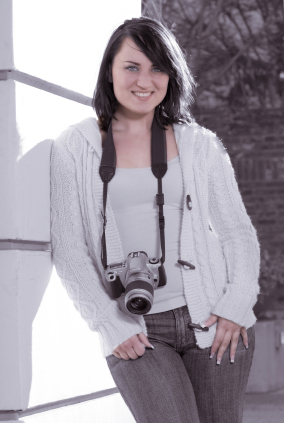 It covers advertising of products, portraits, weddings, school functions and other images shot on assignment. Most photographers spend their entire career shooting on assignments, as it provides a lower financial risk for the photographer. You know that you will get paid, either before the event or after the contract has been satisfactorily completed. On the other hand, stock photography is photography shot on speculation, in advance of being sold. In going after a “perfect air balloon” shot, photographers may take several dozens, if not hundreds of shots, of air balloons that could be made available at a fair price for generic uses. These “surplus photos” can then be used in a multitude of ways, in newspaper articles, brochures, calendars, websites, and much more. Instead of commissioning a photographer, many commercial and educational establishments simply buy stock photographs at a lower-cost. Your first step, therefore, is to determine whether you will specialize or diversify. If you specialize, for example as a fashion photographer, you need to strive to be the best in your field. If you work in several areas, you need to be competent in each area or even outstanding. You can either exclusively shoot on assignment or stock, or like many other photographers, combine the two. When on assignment, some photographers take the opportunity to shoot pictures of their surroundings or events that they put in their own stock collection. 1. Write your business plan. Yes, even photographers need a business plan. The business plan will serve as your roadmap to starting, managing and growing your business. It will help you assess the viability of your business. Writing a plan will help you to think out what your goals are and identify the strategies that will take you to reach your goals. It will help you understand the financial requirements of your business, evaluate your resources, force you to think of where and how you can finance the business, and tell you the parameters of measuring the financial status of your business. Through the business plan, you can begin to identify your potential clients, establish a workable timetable, set reasonable fees or prices, and plan out your marketing strategies. As you go through your business, the business plan will serve as your guide that will tell you how well (or how bad) you are performing. For more information on writing a business plan, visit our Business Planning section. 2. Establish your legal business identity. Each country, state and counties have different rules in treating businesses. Check with your local county clerk the rules that apply to a photography business, particularly home-based. If your business is going to be a sole proprietorship, you only need to register your business in the county office or town hall and file a “doing business as” (DBA) form for a small fee if you are not going to use your own name. For more information on choosing the legals structure of your business, visit our Business Structure section. 3. Open a business banking account. Bring your DBA form to a bank to enable you to open a checking account for your business. It is important to separate your business from your personal finances. Deposit the capital going into the business as your opening deposit, and as soon as the account is established, use it to pay all your business expenses. If you are going to use a credit card to jump-start your business, it is preferable that you have a separate card for your business and financial expenses. 4. Check zoning restrictions in your area. It is best to determine the zoning restrictions in your area before you proceed, particularly if you expect to have clients coming over to your house for a photo shoot session. Your neighbors may object to the daily comings-and-goings of your customers. Read the article Zoning Laws and Your Home Business. The equipment you will need depends on your budget, space availability and kind of shoots that you do. List all photographic equipment that you will need for at least a year: cameras, lenses, tripods, filters, electronic flash units, studio lights and stands, seamless paper and other backgrounds, and others. Don’t be extravagant, buying expensive but rarely used equipment. Purchase high-quality core equipment and sufficient back-up to complete any job. Consider rental sources, particularly for one-time use equipment. In addition, you need to identify the office equipment that you will need, such as a computer, telephone, fax, scanner, office furniture, and others. In your list, make a mark of what you already own and what you need to buy. This will help you determine your budget and plan out how to procure the additional equipment that you will need for the business. You must always think of ways you should protect yourself and your business, and getting the right insurance is the first step. Most photographers benefit from liability insurance, particularly if you have clients going to your studio. This kind of insurance will protect you if your customer, for example, trips on a cable and suffer an injury. You also need to explore getting equipment indemnity, if your homeowner’s or renter’s insurance do not cover these items. For your own benefit, you also need to set-up health and disability insurance in the event that you cannot continue working in your business. One of the very first things that you need to do is to participate in your local chamber of commerce, photography associations, and other professional organizations. Joining a group is the best way to network and meet potential customers, compare notes and collaborate with other photographers in your area, and maybe find a financier for your business. Read articles on how to use networking for your business. 8. Finalize supply and photo lab arrangements. If you will be in this business for the long-haul, you need to start developing relationships with your film, processing, and camera equipment suppliers. Select a reliable photo lab, if you will not be developing your photos yourself. The photo lab you use can make or break your business. The quality of work, ability to meet promised deadlines and the ability to get a complex order correct varies from one photo lab to the other. Experiment before you even start your business and pick one that works best for you. Photography is one of those few professions where you need to master more than one skills to make it a sole source of income. You need to learn how to take good pictures, edit them, start a photography website, optimize it and much more. Building a photography website and working on its SEO is one of the best things you can do for your photography business. I’ve built my website on Pixpa, and it allows me to define SEO properties of individual content items including images. The process is tedious but the results are all worth.